Instant Drama Resolution Persuasion TechniqueWant Someone to Comply with Your Every Desire? Want or need someone to comply with your every desire? Consider the The Instant Drama Resolution Persuasion Technique. That’s because pretty much no one would have ever thought of it. This is one of those shake your head, “man that is cool” strategies that can also make your head spin….it’s so utterly cool. Dariusz Dolinski, Poland’s leading persuasion researcher did. What did his research show? Let’s see how fast I can build this in your brain for you…. Imagine a bunch of people jay-walking. A lot of people in America don’t even know what that means…It means crossing the street anywhere there is NOT a crosswalk. Some people don’t know it’s illegal. You’re crossing a street but NOT at the crosswalk at the intersection. All of a sudden a whistle blows! It must be the policeman. Much like the experience you get in any country when you see the red flashing lights behind you and your heart pounds wondering what you did wrong and how much trouble you are in…these kinds of experiences immediately change your state from goal-oriented behavior (driving somewhere or crossing the street) to one of a state of fear. So, you’re crossing the street “in the middle” and all of a sudden you hear a LOUD WHISTLE. So the whistle sounds. You look around, see no police and continue across the street. You are immediately stopped by someone. You think you could be in trouble. FEAR pulsates through your body. A bunch of other people were randomly stopped after hearing the whistle on this cold day in Poland. Another bunch of people were stopped, as well, but they crossed WITHOUT hearing the whistle. Finally, a third group of people were stopped, as well, as they walked along the sidewalk. They didn’t jaywalk with or without whistle. They were just… walking along. 59% of the people who heard the whistle while jaywalking agreed to fill out the survey. 46% of the jaywalkers who heard no whistle agreed as well. 41% of those on an evening stroll on the cold day agreed to answer questions. OK, quick mental note: People were WAY MORE compliant when they were doing something wrong, albeit very small, and they heard a whistle. That’s building block number one…. A second experiment was performed later. OK, Building Block Number Two…. 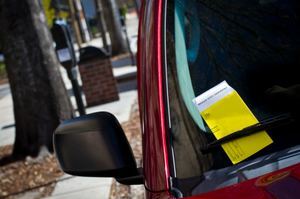 Experimenters found illegally parked cars and placed leaflets that LOOKED LIKE tickets on the windshield under the wiper. They were actually either requests for blood donation or hair restoring shampoo promotions! Finally, there was a group of cars that were illegally parked and nothing was done. As each person returned to their car and was about to leave, an experimenter approached and asked the driver to give them a few minutes for a quick survey for his Master’s thesis on efficient traffic. Who complied with the request for a quick survey? 68% Leaflet Under the Wiper: Initial Thought: Ticket – Appeal for blood donation – Do something nice you almost got a ticket and another person wanted BLOOD! 36% Only illegally parked, no leaflet. Starting to catch on? Go back and check out those numbers again. That is AMAZING. Here’s the next experiment to find out whether this is all about people complying because of FEAR ONLY or if the reason people are complying is because they experienced FEAR and the RELIEF of fear. Students were divided into three rooms. 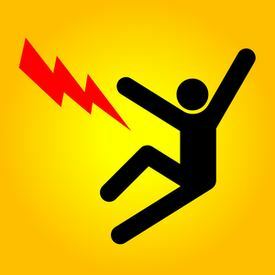 The anxiety was caused by the discovery of an electric shock that would be applied when they mis-spelled words. In ROOM THREE, the students were informed they’d be throwing darts from various distances. The experimenter enters ROOM TWO and tells the students to go into the hallway that they will NOT be participating in the electric shock experiment but a dart throwing experiment. WHEW! A female student approached students in the hall one by one asking for participation in a charity event for an orphanage. Students were asked how much time they would be willing to give to the event. KEYPOINT: The induction and then reduction of fear causes compliance in requests immediately following the emotional seesaw drama! AHHHH, but does the seesaw drama work in reverse? Do we really have it figured out? I mean it is fairly common strategy in copywriting, for example, to find the pain, rub it and then heal it. It’s a proven method of getting people to take action. Is it just the notion of being scared THEN feeling better? Clearly the fear alone didn’t cause compliance at all. 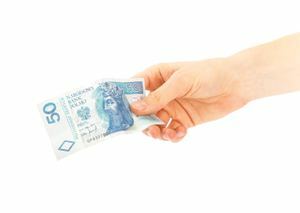 People would see what looked like a 50 zloty ($15) bill on the sidewalk and pick it up. It only looked like money. It was an ad for a new car wash. Soon thereafter, a female confederate appeared with a suitcase that needed to be watched. Key Result: People who had PICKED UP the “MONEY” (really the car wash ad) were TWICE AS LIKELY to watch the bag for the girl as those people who found nothing on the street! Someone is super excited to find what looks like money, they find out it’s just a stupid car wash ad. Then they are asked to watch a piece of heavy luggage for a girl and these people are TWICE as likely to do so than people who found nothing?!??! Ready to see what Building Block #4 is…and means? In a related experiment, German students were told they received an “A” on a test then were told they truly received a “C”. The professor had made a mistake. Another group: The students were told they received a “C” on the test and then it was corrected, they actually received an “A”. Another group: The students were given the accurate grade they received on the test. Students were then informed that there would be a street party next quarter and the school was looking for volunteers to have an information booth and help prepare cake and coffee. Students were asked to commit to a number of hours they would work on that Sunday and write it down. So basically the two non-drama situations…the student writes down, the mimimum ONE HOUR of volunteering. Whether they were given the correct score or there was no info. BUT, when there is emotional drama, things change fast…and significantly. Cool, Kevin, but what happens outside of the laboratory (or off the sidewalk!)? Does this work in real life? What follows is from an email I received from a Coffee with Kevin Hoganreader who got an advanced look at this article. Just read your article on inducing fear, then reducing it for compliance. Just did something similar -( SkillPath). I tried something new that doubled my sales the two days that I used it; I think it might have utilized this principle. I created a much higher-priced package than what anyone normally buys, and created a flyer for it. It is a very solid package, with great materials – but a bit high ($300) for the typical SkillPath setting. I then present the $100 product. When I presented them as you suggested at Bootcamp 2007, (High price, Middle price, low price) it did drive a fair amount of people to the middle price. However, by coming on a little strong with the high-priced package at first, like I was really going to push it, and then suddenly backing off, telling them to breathe easy, because I was not going to ask them to buy it, twice as many people bought the middle product than when presented the other way. I know you are busy, but I just wanted to share that with you. Think about the ways that you can utilize this information in your presentation – and double or triple your sales, as well!